Conversations About The Future Of Advertising: Faris Yakob, Monday, March 8, 2010: "Stuff that doesn't work properly: How technology changes the nature of advertising"
Faris Yakob, Monday, March 8, 2010: "Stuff that doesn't work properly: How technology changes the nature of advertising"
UPDATE: Video of Faris' presentation embedded below. On Monday, March 8 Faris Yakob (@faris), the former Chief Technology Strategist at McCann Erickson NYC, will be talking about what technology actually is [and what his job was], why it scares people, why everything changes this year, how advertising has to adapt to a post-scarcity media environment, and what cultural latency is. 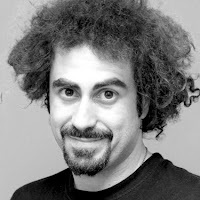 Prior to McCann, Faris was the Senior Strategist and Digital Ninja at Naked Communications; a Speaker at the MIT Convergence Culture Consortium; and a Strategic Media Planner at OMD. Learn more about Faris' many interests and endeavors here. This is our second event in the third season of Conversations About The Future Of Advertising. As usual, we'll be conversing at the Fine Line Music Cafe, 318 First Avenue North in Minneapolis. The event is free. No RSVP required. Just show up. Doors open at 5:00pm. Faris' presentation starts at 6:00pm—sponsored by the Minneapolis College of Art and Design and the Minnesota Interactive Marketing Association.